We were definitely split on this unique throwback to those old Italian giallo horrors of the 70’s. Shout out tho’ to Todd’s main man, Lucio Fulci! 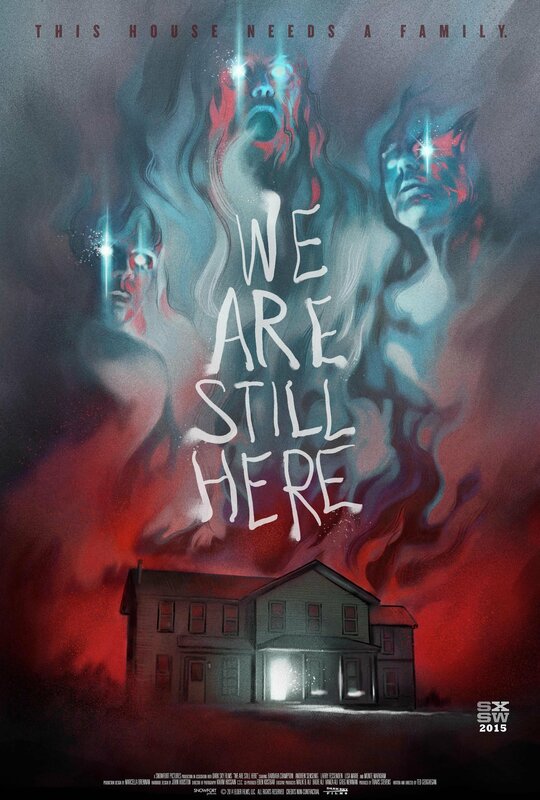 This entry was posted in and tagged fulci, giallo, Horror, podcast, sxsw, we are still here. Bookmark the permalink. I was really hoping you guys would shed some light on why the waitress was shot. Many other unanswered questions. This movie packed in so many cliches that I never bought into it. Some of the acting felt like community theatre. Don’t know why this one got so much attention. I have to agree. Just didn’t settle well with me. IMHO, there was no good reason for the waitress to get shot. It was just a poor bit of writing to create a moment of shock and to emphasize “these are the bad guys”. But really, there wasn’t a proper motivation there. I think we were supposed to go with “she knew too much,” but actually all she was doing was asking questions. Not really enough for the antagonists to take the extreme and risky measure of offing her. I am also dumbstruck that this film is so well-reviewed. I think the moment it lost my respect is when the baseball came bouncing down the stairs. We’ve seen that in too many movies since The Changeling.